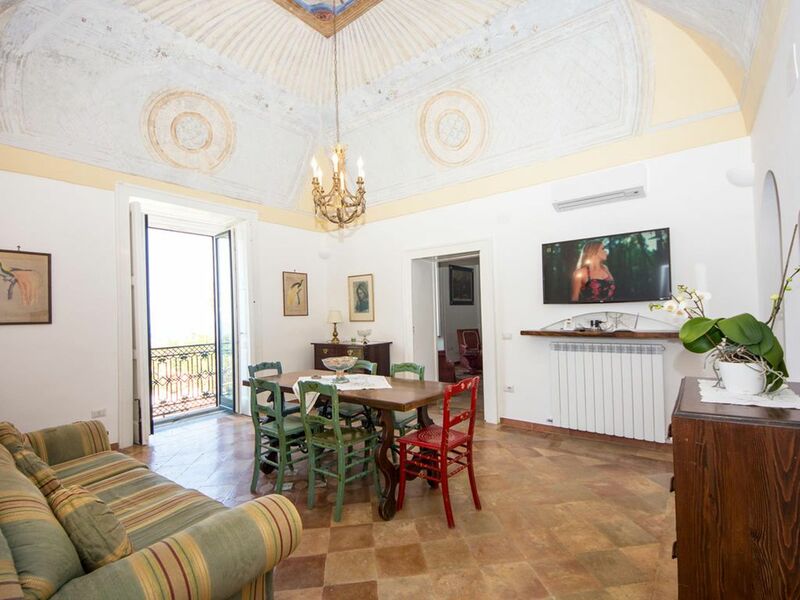 The holiday house "LA FARFALLA BIANCA" is located in an ancient palace of 1800 near the center of Massa Lubrense (Sorrento). It enjoys an ideal location with breathtaking views of the sea and the island of Capri. You can choose to access the beach either in a 5-minute walk for nature lovers or by the shuttle service. You can easily reach Sorrento and the towns of Positano, Amalfi, Herculaneum, Pompeii, Vesuvius and the islands of Capri and Ischia. Private car park included.